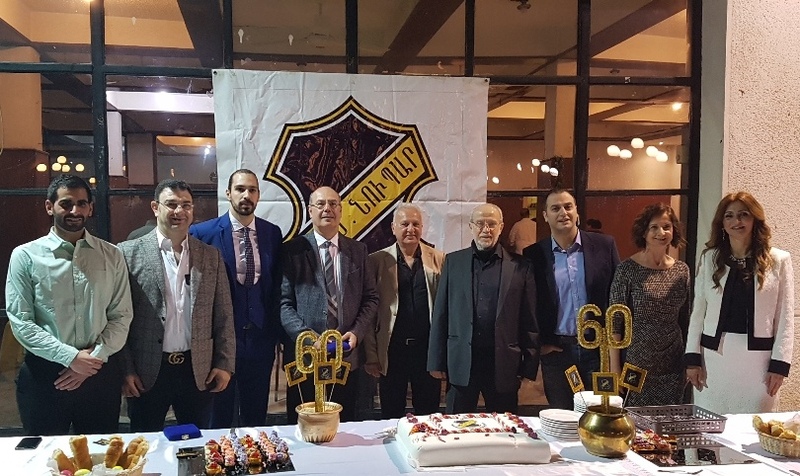 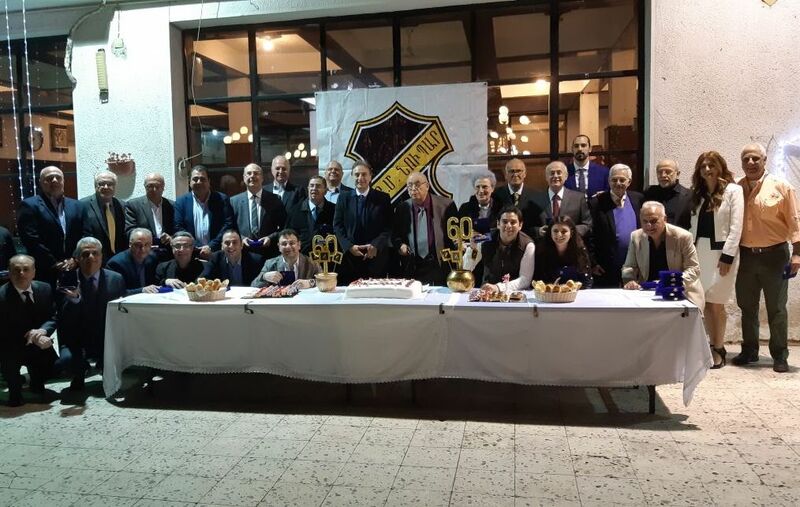 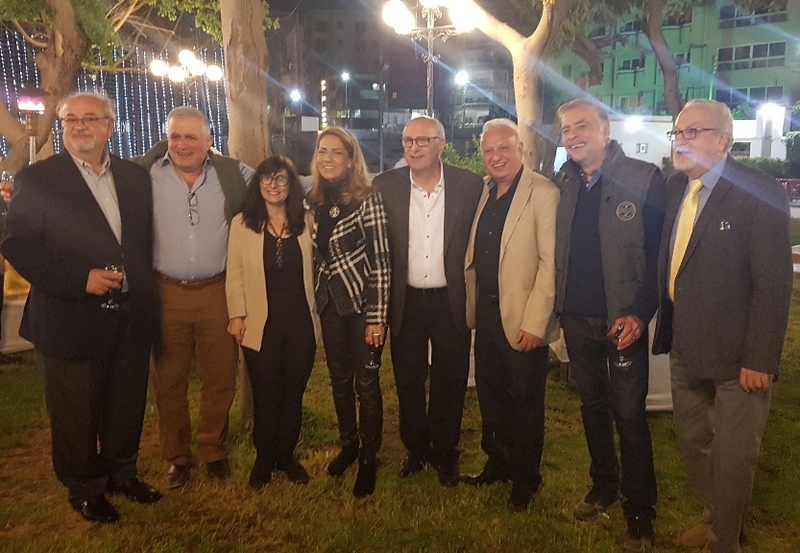 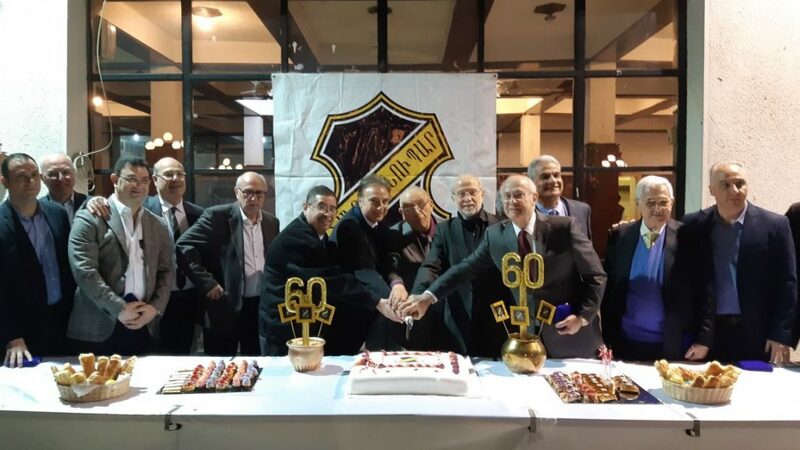 Saturday 31st March was the kick-off day of the 10-day-long activity program of celebrations commemorating the 60th anniversary of the union of HMEM and Nubar clubs and their move to their new premises at the current HMEM Nubar Cairo Club in 1958. 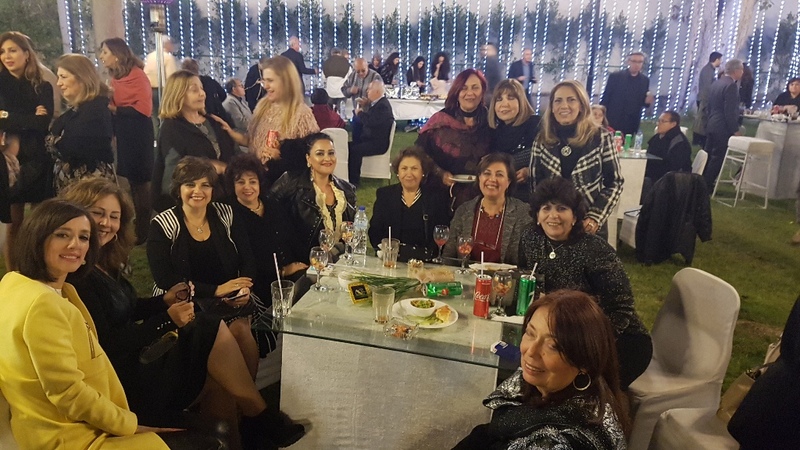 The cocktail reception was held at club garden, which was tastefully decorated with lightings and flowers. 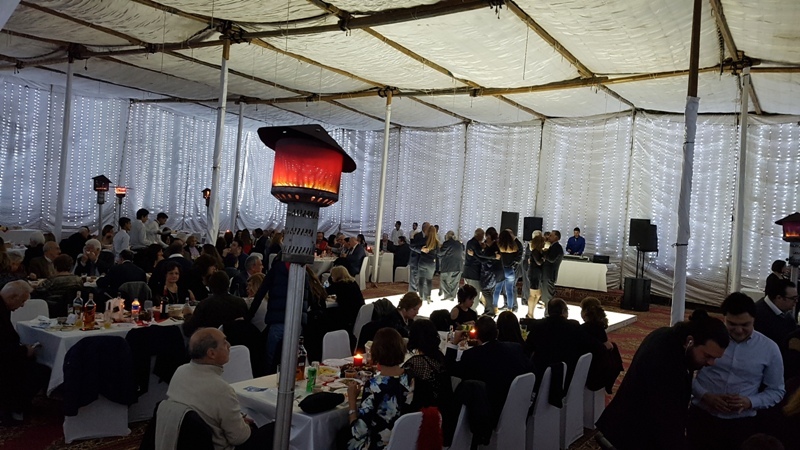 High tables and chairs were stylishly arranged, light music entertained guests, and waiters served drinks and food, while guests were busy recalling old stories of their younger days. 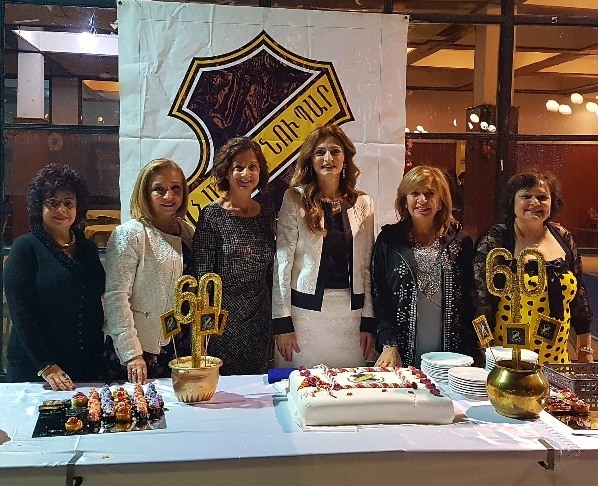 Mrs, Nairy Simonian, on behalf of HMEM Nubar Cairo’s board, welcomed the guests and invited the sponsors, then the patrons, to receive their thank-you commemorative medals and cut the 60th anniversary cake before taking the group photos and mingling once again with the presence. 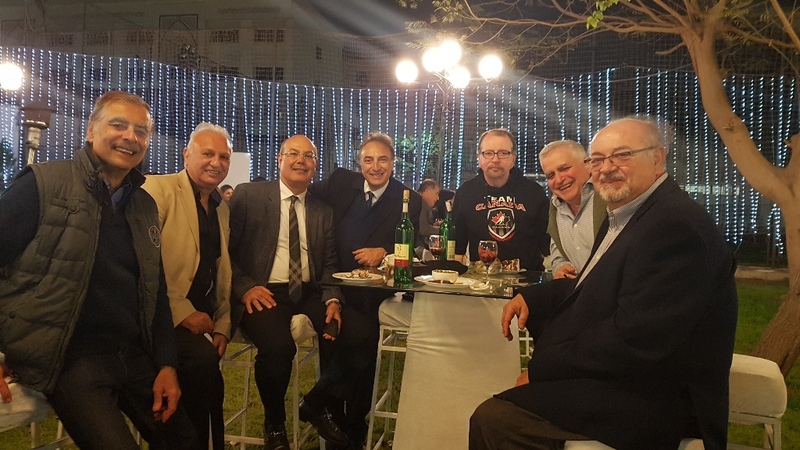 For the guests who had come from abroad, their sightseeing program had started in the morning, with a sightseeing trip to the Pyramids and Saqqara with the tour guidance of Dr. Arto Belekdanian. 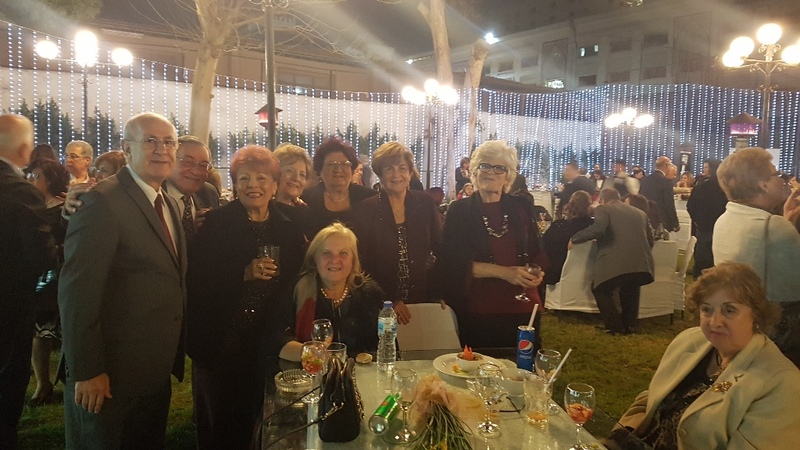 The program continued on Easter Sunday with a visit to the Armenian Church, lunch at HMEM Nubar then a cruise dinner on the Nile Pharaoh later in the evening.